Ideal for photographers of all abilities who are looking to learn from experienced local nature photographers, and capture the iconic highlights of Patagonia's wildlife and landscapes as part of an intimate group. Experience the famous National Parks of Torres del Paine & Tierra del Fuego, and see two different types of penguin (King & Magellanic) as well as a whole host of other wildlife, dramatic peaks and glistening lakes. Take a boat trip to the Grey Glacier , part of the Southern Patagonia Ice Field. After meeting your guide at Punta Arenas, you will sail out bound for Magdalena Island, in the waters of the mythical Straits of Magellan, in Patagonia. This protected area holds a huge Magellanic Penguin colony of more than 150,000 individuals. Besides the penguins, several other species of seabirds such as Imperial & Rock Cormorants, Dolphin and Kelp Gulls, Chilean Skua and South American Tern nest here. At approximately 8.30am, you will be reaching Magdalena Island and its imposing cliffs, teeming with wildlife. You will have one hour to explore the trail towards the center of the island, which ends at the conspicuous lighthouse which is now the ranger station. You'll be overwhelmed by the large numbers of penguins inhabiting every available spot of the island's surface and by their raucous braying calls. Some of the penguins will be busy while landing, coming ashore from their feeding trips, taking a bath or preening and resting peacefully at the shoreline. Others will be walking with their characteristic gait towards their burrows to incubate the eggs or attend their chicks. Several other seabird species breed in the island including Imperial and Rock Cormorants, Dolphin and Kelp Gulls, Chilean Skua and South American Tern. South American Sea Lions occasionally patrol the coast looking opportunities to catch a distracted penguin. Around noontime, you will be transferred to Torres del Paine National Park. During the journey to the park, you will observe how the strong westerly winds have sculpted the vegetation of the grassy steppes in Patagonia. You will often stop along the way for photography and wildlife observation; en route we might spot Andean Condor, Guanaco, southern Grey Fox and Patagonian Skunk while enjoying your first contact with the sub-Antarctic Southern Beech (Nothofagus) Forest, world's southernmost woodlands. At the picturesque coastal town of Puerto Natales, you'll enjoy gorgeous vistas of the Chilean fjords with groups of stunning Black-necked Swans feeding along the shoreline. You will have splendid views of the range, and if it's clear, of the Paine Massif in the distance. 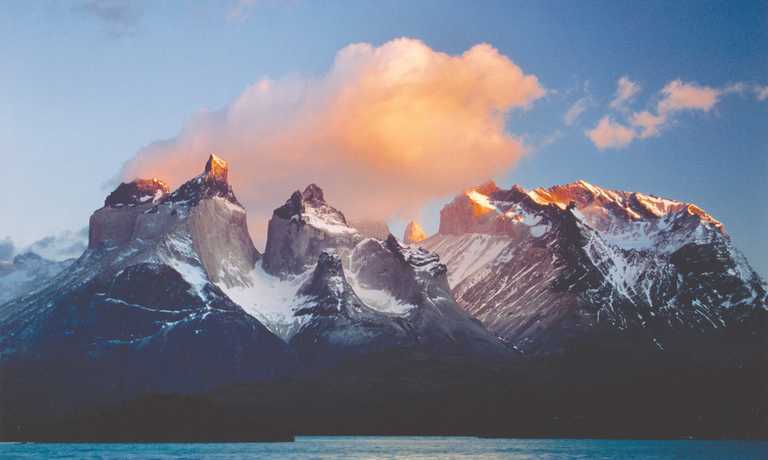 While visiting the valleys you will be given a geological interpretation of the origins of the dramatic backdrop of Torres del Paine, one of the finest natural spectacles in Patagonia. This evening we can carry out a sunset photo session, either before or after dinner. Each day, you will have an early start in order to be in location to photograph the Paine Massif at dawn. 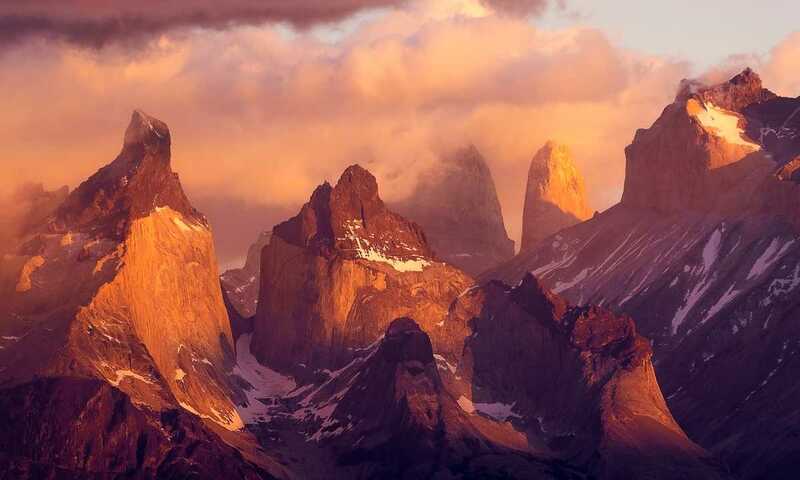 You'll concentrate on photographing the 'Horns' and Paine Grande peaks, located in the southern face of the Massif. Today we will explore the southern and western regions of this huge national park, extending for 600,000 acres (242,000 hectares). The omnipresent Paine Massif, a magnificent set of rugged peaks, formed out of granite and sedimentary rock, dominates the landscape. The long-gone Indians of Patagonia named it Paine, meaning, 'blue', presumably referring to the hazy coloration when observed at a distance. You'll have the opportunity to explore the Nothofagus or Southern Beech forest and its diversity of plants and animals; try to spot the Magellanic Woodpecker, Austral Parakeet and if you are lucky the shy and scarce Huemul Deer. The contrasting mosaic of towering mountains, glaciers, wetlands, steppes and forests will delight you. Lake Grey is certainly one of the highlights of the day. Colossal icebergs are stranded on the southern shore of the lake after a long and slow journey from the glacier front. From this shore you will board our boat (the M/V Grey II) for a 3-hour excursion through the icy waters of the lake towards the impressive and actively calving front of the Glacier. Grey is one of the nearly 50 glaciers that originate from the massive Southern Patagonian Ice Field, world's third largest after Antarctica and Greenland, and is one of the most beautiful and colourful in all of Patagonia. The front is full of crevasses and the solid glacial ice colours vary from whitish to deep indigo. The glacier is flanked towards the east by impressive granite walls which are part of the Paine Massif, and towards the west by the eroded and low summits of the older Andes. The photography opportunity is great at this particular spot; you will be treated with a glass of Pisco Sour containing hundreds- possibly thousand-year old glacial ice! This evening you will have again an optional photo outing for sunset and the dramatic cloud formations. Again this morning you will have an early start in order to photograph the Horns in the first light of day. In the right light, the mountain base turns to orange colours and the scene becomes very dramatic with peculiar lenticular clouds moving fast above the peaks. You'll explore the alkaline ponds and reed-fringed lagoons located in the eastern part of the park. There are approximately 120 species of birds and nearly 500 species of plants in the park and you will see a considerable number of them, all very interesting subjects for observation and photography. During the southern spring and early summer (mid-October through late January), the myriad of flowers that bloom in these magnificent landscapes are an unforgettable sight. After your return to the hotel and enjoying our delicious dinner, we will have another chance to photograph the mountains and clouds, this time at sunset. The lookout from the eastern corner of Sarmiento Lake commands the most incredible views of the towering peaks of Las Torres, the Towers, the granite spires that name the park. As you move around, you may observe confiding herds of Guanaco, the southernmost camel relative, the curious-looking Lesser Rhea and the imposing Andean Condor gliding along the road. 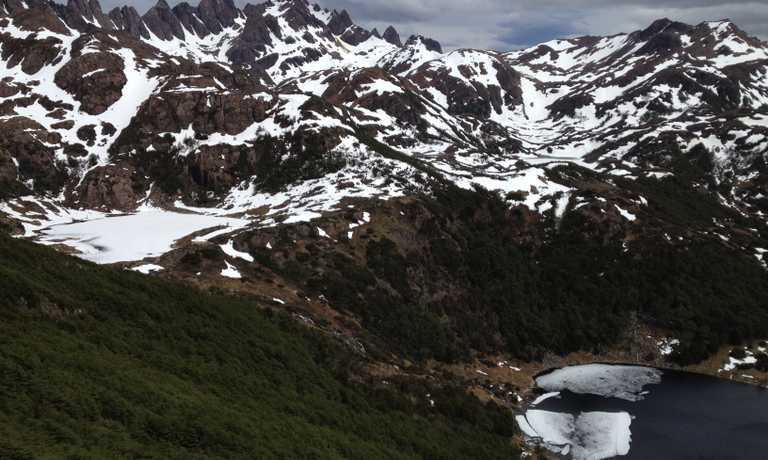 During the morning you will visit the eastern side of the park and enjoy the views of one of Paine River's impressive waterfalls and if it's clear, the fabulous Paine Massif from Laguna Amarga. During the afternoon you will visit Mylodon Cave Nature Reserve. This outstanding natural formation, consisting of a massive cave carved by the waves of an ancient lake in the rock conglomerate was used as shelter for a large array of long-gone Pleistocene mammal species, including the Giant Ground Sloth or Mylodon, Mylodon darwinii, when most of the surroundings were covered by glaciers. The palaeontology of the area results fascinating and you'll learn some interesting accounts from our guide, in the field as well as by visiting the interpretation centre of the reserve. You will have the rare opportunity to explore other minor caves at Benitez Hill; these smaller shelters, fairly easy to explore, were primarily used by pre-Columbian inhabitants, who reached these latitudes several thousand years ago. The trail goes through Southern beech woods, with great chances of seeing new forest birds as well as raptors and soaring Condors. You will also study the flora of the area; one of the most remarkable and dominant plants is the Chilean Firebush (Embothrium coccineum), a relative to African proteas, whose flowers paint the hillsides in incredible scarlets. This morning you'll leave Puerto Natales, hopefully with many rewarding memories of your explorations and wildlife encounters on this beautiful corner of Patagonia. You will drive east across the vast wind-swept steppes and along the border with Argentina, which here is literally a straight, seemingly endless line. Pali Aike National Park and its many extinct cinder cones is a place that breaks the uniformity of this vast, big-sky country. Long-gone Indians extensively occupied the area, and it has a very rich archaeology and paleontology. The birdlife of the area is very interesting too, as we may find intriguing species such as Least Seedsnipe, Tawny-throated Dotterel, Chocolate-vented Tyrant and the colourful White-bridled Finch. We will take a short ferry ride across the narrowest portion of the Magellan Straits, where we expect to see the delightful and local Commersons Dolphin. We will drive along the shores of the huge embayment of Bahia Inutil, Useless Bay, to see the recently established King Penguin breeding colony. This is a private nature reserve, which aims to preserve the small numbers of Kings that remain year-round and breed here, attracted by the bounty of the surrounding sea. We will have ample opportunities to observe and photograph the penguins from a reasonable distance (maximum approach distance will be given by your guide and must be respected at all times during your visit). Tierra del Fuego, the 'Land of Fire' is another landmark coined by the skilled navigator, Ferdinand Magellan. In 1520, while crossing the seaway that now honors his name, he and his crew spotted a line of bonfires along the coast of a huge landmass. Tierra del Fuego is now a land of endless wind-swept steppes, rolling hills and lush temperate forests; sheep-farming stations, locally known as estancias, are interspersed amidst these picturesque and colorful landscapes dominated by dramatic skies. You will be able to enjoy a leisure morning while exploring around the town of Porvenir to photograph and learn about the particular wildlife and history of this remote corner of Patagonia. You will visit its alkaline pools where there are large aggregations of migratory birds such as sandpiper and plovers, and your main goal here will be to see the Chilean Flamingo. Later you will explore the coast to see some of the many shipwrecks that have made these seas infamous over the years. After lunch we will be heading back to Punta Arenas by ferry. Accommodation: Hotel Diego de Almagro, Punta Arenas. Complimentary transfer to the airport. End of the trip. The price of USD $3,698 per person is based on double occupancy. There is a single supplement of USD $550 for those who request single accommodation. Boat trips to Grey Lake and Magdalena Island, ferry fares to Tierra del Fuego, and park entrance fees. Tipping for restaurant service is included.